Are you having difficulty walking? Consider a wheelchair. Do you have acute foot or ankle injury? A knee scooter may be just what you need. Fundamental in design, a cane or crutches may be your solution. Simple folding walkers, folding walkers with wheels, or rollators with wheels, seat, and brakes are also practical options. 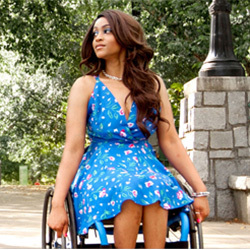 For those who find walking difficult or impossible, a manual wheelchair or a transport wheelchair is a next step. Acute foot or ankle injury? A knee scooter is ideal. 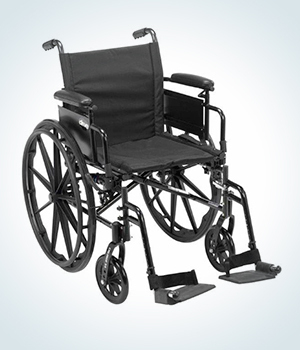 Some of our more popular manual wheelchairs and walking accessories are included here. 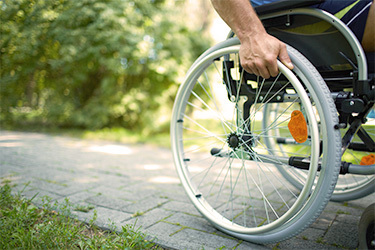 Typically self-propelled, Standard Manual Wheelchairs are available in a wide variety of seat sizes with a weight capacity range which includes bariatric, or heavy-duty. Foot rests are standard on most models, and elevating leg rests are an option when indicated. 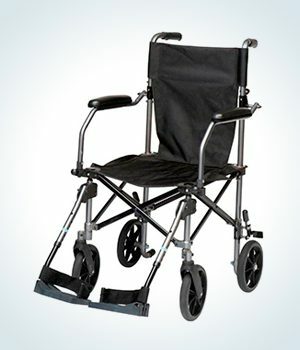 Also called a companion chair or attendant chair, a transport wheelchair is lighter in weight, making folding and storing much easier for the attendant. Ideal for the individual who is unable to self-propel. Unable to put weight on your foot or ankle due to injury or surgery? 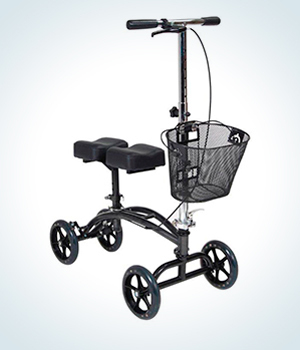 Available as a purchase or a short-term rental, a knee scooter, with its large contoured padded knee platform, stable wheelbase, and easy-to-engage hand brake, can be a great long or short term alternative to crutches or folding walkers. Light weight, easily stored, and simple to operate, a folding walker provides four point support when a cane is not advisable. 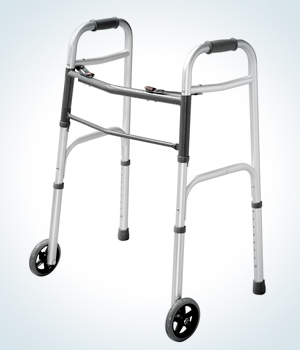 Walkers are available with or without wheels. Accessories such as cup holders, snap on trays, baskets, and bags are optional. A rollator with a folding seat, storage compartment, and ergonomically designed hand grip with brake attachment, is a step up from a standard folding walker. 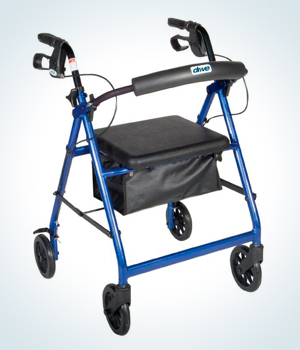 Like a standard walker, a rollator folds easily for storage. 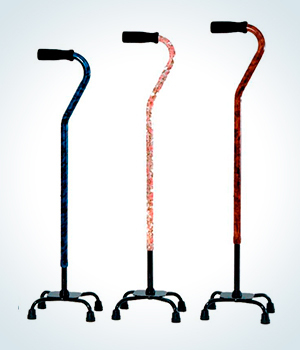 Like a standard walking cane, four-pronged canes with a choice of small or large base, give that extra measure of support for those whose gait is unstable due to aging, illness, or injury. Crutches, both standard and fore-arm, are routinely available.